There are several ways to beat the market, and investing in small cap stocks has historically been one of them. We like to improve the odds of beating the market further by examining what famous hedge fund operators such as Carl Icahn and George Soros think. Those hedge fund operators make billions of dollars each year by hiring the best and the brightest to do research on stocks, including small cap stocks that big brokerage houses simply don’t cover. Because of Carl Icahn and other elite funds’ exemplary historical records, we pay attention to their small cap picks. In this article, we use hedge fund filing data to analyze Dell Technologies Inc. (NASDAQ:DVMT). Dell Technologies Inc. (NASDAQ:DVMT) is extremely popular among hedge funds despite a modest 8% dip in the number of hedge fund shareholders of the stock during Q3. 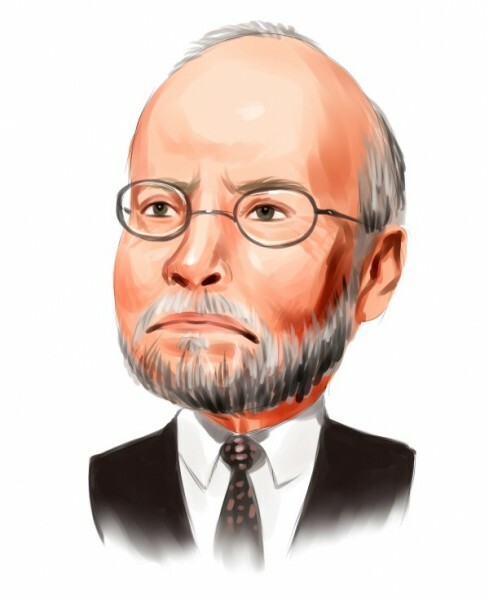 DVMT was owned by 61 hedge funds at the end of September, and while it didn’t quite make our list of the 30 Most Popular Stocks Among Hedge Funds, it did grab a place among the 30 Stocks Billionaires Are Crazy About, with 13 of those exorbitantly wealthy and talented investors owning DVMT shares on September 30. Paul Singer’s Elliott Management and Carl Icahn’s Icahn Capital were among the billionaire money managers bullish on Dell. What have hedge funds been doing with Dell Technologies Inc. (NASDAQ:DVMT)? At the end of the third quarter, a total of 61 of the hedge funds tracked by Insider Monkey were bullish on this stock, a decline of 8% from the second quarter of 2018. 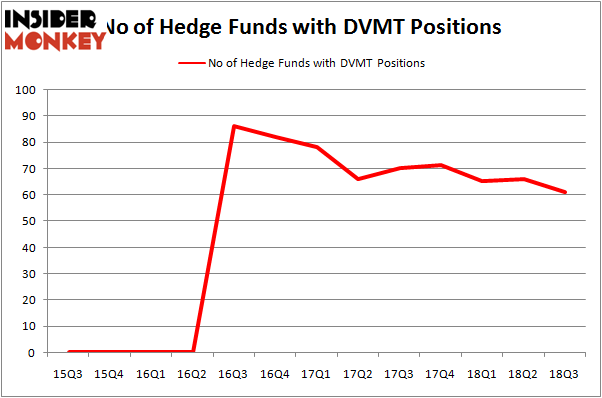 On the other hand, there were over 85 hedge funds with a bullish position in DVMT two years earlier. So, let’s examine which hedge funds were among the top holders of the stock and which hedge funds were making big moves. More specifically, Elliott Management was the largest shareholder of Dell Technologies Inc. (NASDAQ:DVMT), with a stake worth $948.2 million reported as of the end of September. Trailing Elliott Management was Icahn Capital LP, which amassed a stake valued at $856.1 million. Canyon Capital Advisors, Farallon Capital, and Renaissance Technologies were also very fond of the stock, giving the stock large weights in their portfolios. Seeing as Dell Technologies Inc. (NASDAQ:DVMT) has experienced falling interest from hedge fund managers, logic holds that there exists a select few fund managers that decided to sell off their full holdings heading into Q3. Interestingly, Dan Loeb’s Third Point dropped the largest stake of the 700 funds monitored by Insider Monkey, valued at close to $169.2 million in stock. Scott Ferguson’s fund, Sachem Head Capital, also said goodbye to its stock, about $131.9 million worth. These moves are intriguing to say the least, as total hedge fund interest fell by 5 funds heading into Q3. Let’s check out hedge fund activity in other stocks – not necessarily in the same industry as Dell Technologies Inc. (NASDAQ:DVMT) but similarly valued. We will take a look at The Clorox Company (NYSE:CLX), iQIYI, Inc. (NASDAQ:IQ), and KB Financial Group Inc. (NYSE:KB). This group of stocks’ market caps resemble DVMT’s market cap. As you can see these stocks had an average of 14 hedge funds with bullish positions and the average amount invested in these stocks was $443 million. That figure was $6.29 billion in DVMT’s case. The Clorox Company (NYSE:CLX) is the most popular stock in this table. On the other hand KB Financial Group Inc. (NYSE:KB) is the least popular one with only 4 bullish hedge fund positions. Compared to these stocks Dell Technologies Inc. (NASDAQ:DVMT) is more popular among hedge funds. Considering that hedge funds are fond of this stock in relation to its market cap peers, it may be a good idea to analyze it in detail and potentially include it in your portfolio.